HONG KONG, 23 November 2016 – South China Morning Post Publishers Limited, Asia’s leading media company, today announced the appointment of Mr Gary Liu as the incoming Chief Executive Officer, succeeding Mr Robin Hu, effective 3 January 2017. As previously announced, Mr Hu will step down from SCMP’s helm and continue to lend credence as a member of the SCMP Board of Directors. Mr Liu’s appointment marks an important cornerstone for SCMP as his digital expertise and vision will lead SCMP to reach new heights in the global media marketplace. Under his direction, SCMP will leverage its acclaimed editorial strength to further expand the company’s news division, as well as its advertising, magazines, education & recruitment, events & conferences and contract printing businesses. Mr Liu, 33, has helped shape the narrative of how media touches people’s lives in his previous capacities at notable digital pioneers in the US, including Digg, Spotify, Google, and AOL. 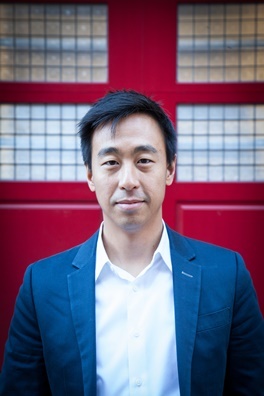 He joins SCMP from his recent CEO position at Digg, a New York-based online content aggregator. He guided Digg’s product innovation in data-driven content curation, steering business operations and strategic development, among other elements of the company. He was Chief Operating Officer at Digg before becoming CEO in October 2015. Prior to joining Digg, he was Head of Labs at Spotify, the music technology platform, from November 2013 to February 2015, spearheading business strategy, incubation, industry intelligence and research. He also led Spotify’s advertising operations as Global Director of Ad Product Strategy for two years starting in November 2011. Before Spotify, Mr Liu oversaw sales and revenue strategies and operations in various roles at AOL, Clickable and Google from 2007 to 2011. He holds a bachelor’s degree in Economics from Harvard University and speaks English and Mandarin.